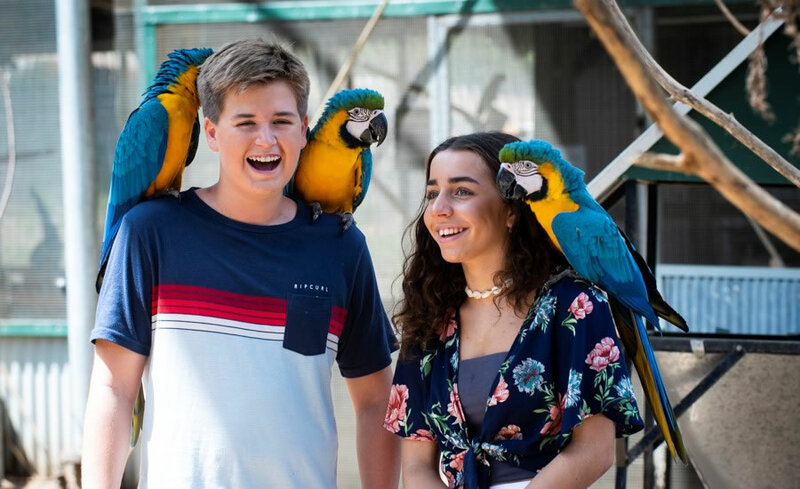 Have your photo taken with our beautiful birds. 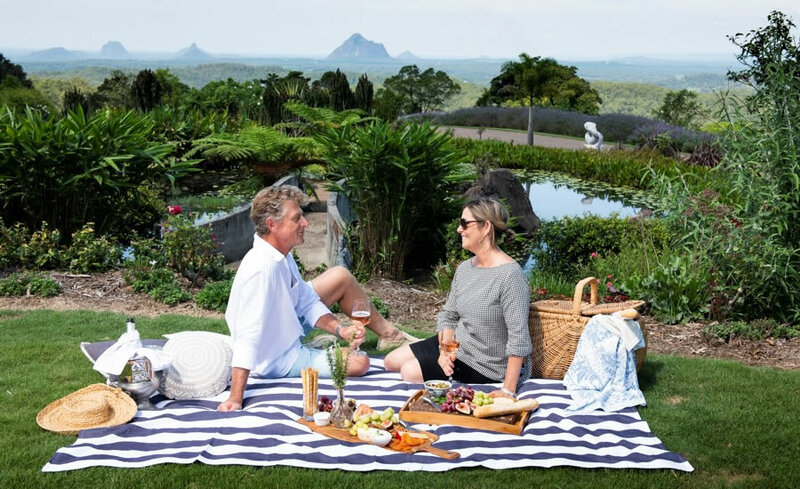 Located at 233 Maleny Stanley River Road Maleny, the Maleny Botanic Gardens and Bird World is just over an hour’s drive north of Brisbane, just off the Bruce Highway, exit Steve Irwin Way. Our newly-refurbished café is the perfect destination for morning coffee, an afternoon Devonshire Tea or a scenic lunch. We have a wide array of hot and cold beverages and an ever-changing selection of freshly-made sandwiches, pastries, dishes and snacks to suit everyone. 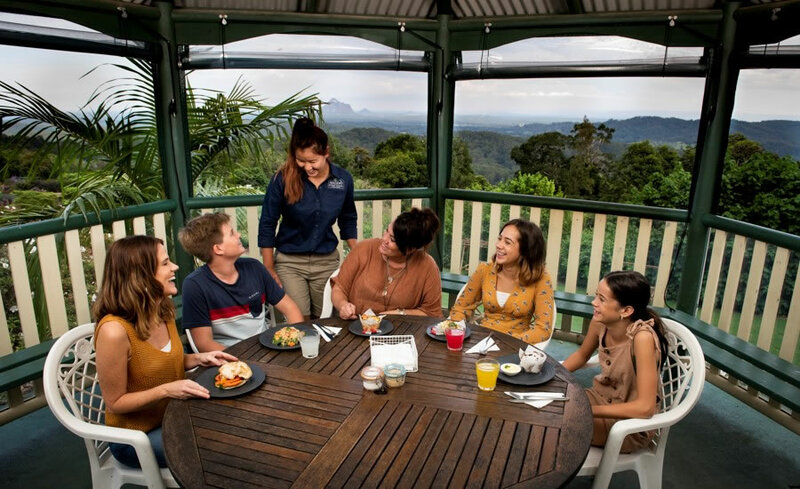 Our Café has a great selection of items perfect for a picnic in one of our many gazebos and picnic spots. 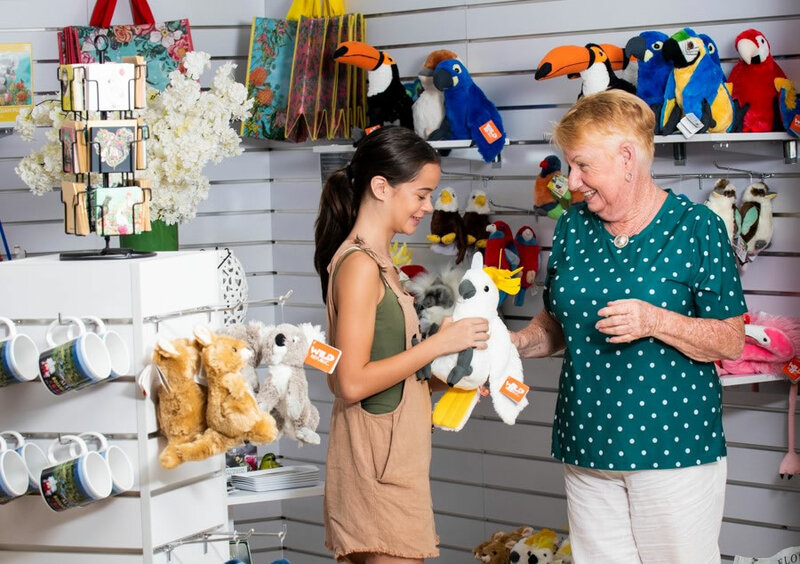 We have a lovely onsite gift shop with a beautiful variety of bird and garden related products. Disabled toilets and disabled parking available. Access to café, retail and aviaries is wheelchair-friendly. Much of the gardens is also wheelchair-accessible (on gravel pathways), though may be a little challenging. We highly recommend hiring one of our electric golf carts to transport you easily around the garden to enjoy all the sights and sounds. We have ample free parking for cars and coaches in three conveniently-located car parks. Disabled and parent parking is available. 2 Tesla Connectors, up to 22kW. Available to the public. Yes, absolutely, but please keep your pooch on a lead and clean up after it! We recommend that you wear comfortable walking shoes, bring a hat, sunscreen, insect repellent, and rain coat or umbrella in case the weather changes during your visit. We have ample space in our numerous gazebos to ensure that you will enjoy your time with us, come rain or shine! 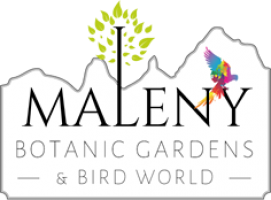 Can I book Maleny Botanic Gardens for my event? Yes, we have numerous ways that you can book areas of the garden, from our lush lawns to our covered gazebos. We have catered to company outings, school excursions, weddings, ceremonies, birthday parties and much more. 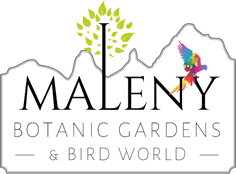 Please contact info@malenybotanicgardens.com.au to discuss your next event. We recommend enclosed shoes for your safety, this is an outdoor environment which can become muddy in rainy weather. Our birds are very inquisitive and attracted to shiny and expensive objects, so we recommend removing all jewelry and other shiny or expensive objects. (We remind guest that although this is an interactive experience, please respect the birds personal space as you would any other animal. Please wait for the staff to assist you with holding our birds or allow the birds to come to you freely, keep your hands to yourselves.) Birds diets are very unique and complicated for our bird safety we can not allow any kind of food into the aviary as their diets are carefully monitored. A variety of nuts are used in all aviaries, if you have allergies please inform us before the tour begins. 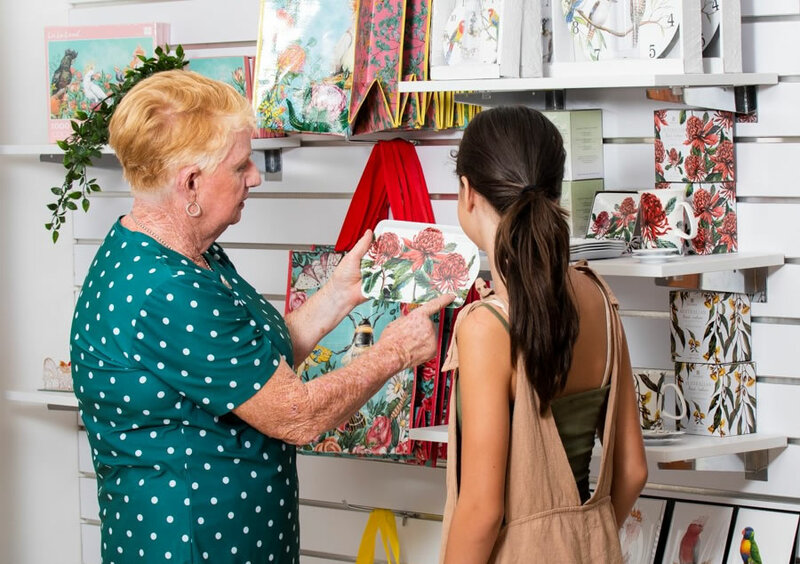 At Maleny Botanic Gardens we endeavour to provide exhibits that complement the vegetation in our Gardens. The Gardens have water features that are not fenced, including ponds, waterways and waterfalls, as well as elevated walkways that can be potentially dangerous. Children must be supervised by a responsible adult at all times whilst visiting. To maintain the beauty of the environment, please do not litter – bins are provided at the Garden’s Entry Pavilion. No filming or photography in the Gardens for commercial purposes to be carried out in the Gardens without prior consent. 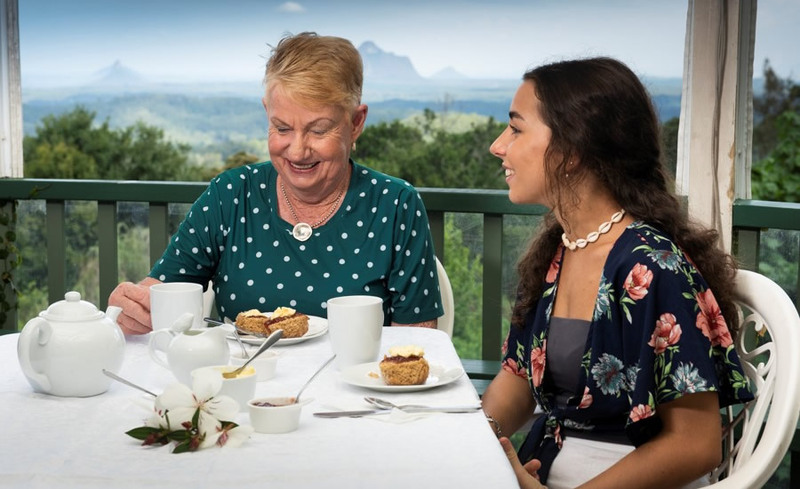 Please contact info@malenybotanicgardens.com.au should you wish to arrange a commercial video or photographic shoot and we will happily accommodate your requirements for a fee. While visiting the Gardens you may be filmed or photographed for marketing purposes. If you wish for this not to occur, please notify a staff member. There will be no refunds due to adverse weather conditions or any areas of the Gardens being closed for maintenance, special events or for any other reason. It is an express condition of your entry and your participation in the activities conducted by Maleny Botanic Gardens that you do hereby, for yourself, your heirs, executors, assigns and next-of-kin and each of them release, waive and discharge Maleny Botanic Gardens, its officers, owner, agents and employees of and from all liability, claims or demands for all injuries, losses, damages of any kind or nature to your person or property or to that of any minor under your supervision, whilst on the property of Maleny Botanic Gardens. Do I need to know anything before entering the Aviary experience? As our birds can have sharp claws, we recommend adequate clothing to avoid scratches on your shoulders.